NETWORK UPDATE: All remained as originally reported on the network side. 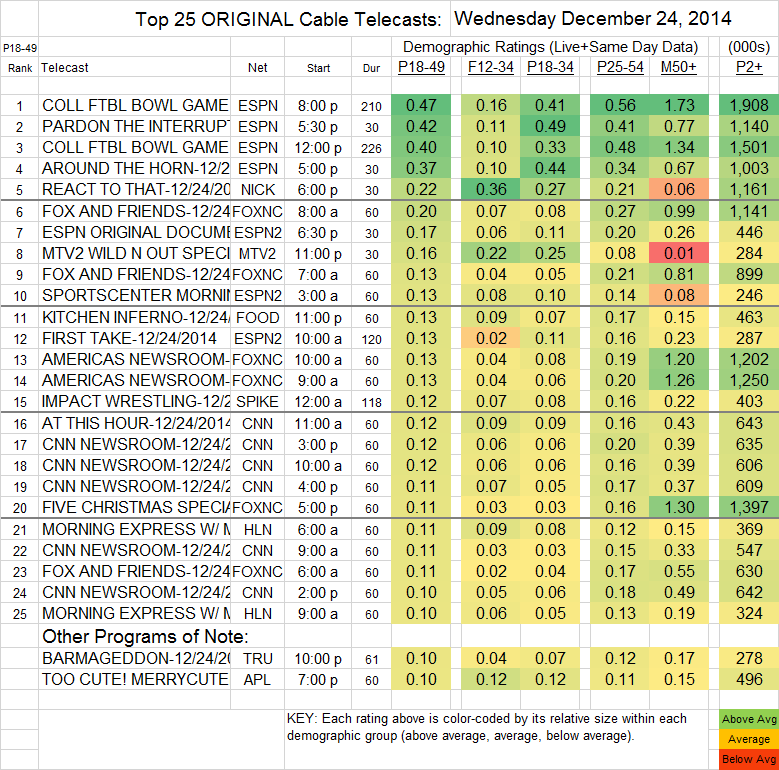 Ratings in key demos for the Top 25 original cable telecasts (plus a few other lower-rated but noteworthy programs). Christmas Eve, as usual, is a lonely night for original programming. More interesting programming days (Thursday December 25-Sunday December 28) will be available throughout the day tomorrow (Tuesday). Very little in the way of original cable programming was stirring on Christmas Eve, the night being dominated by reruns of holiday movies like A CHRISTMAS STORY and ELF. 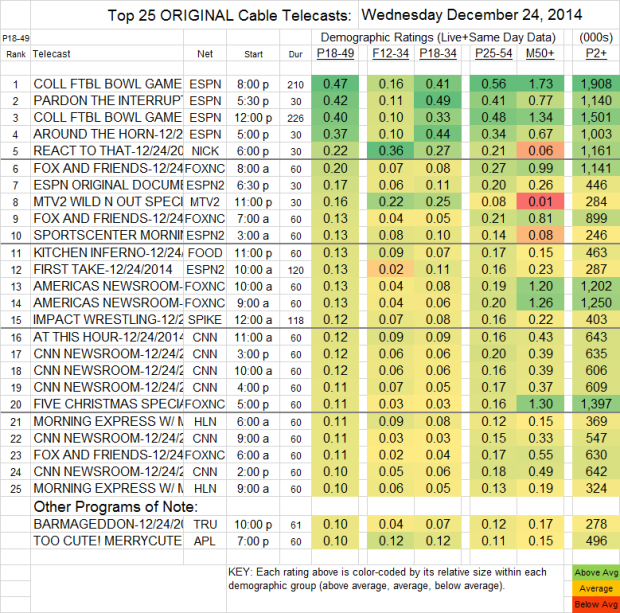 Sports took up the rest of the attention, with 0.47/0.40 scores for ESPN’s two bowl games of the day, and the network’s regular talk shows taking up the rest of the Top 4 slots. After that, the original programming was down at the level of 0.17 for an ESPN documentary and 0.16 for WILD N OUT on MTV.